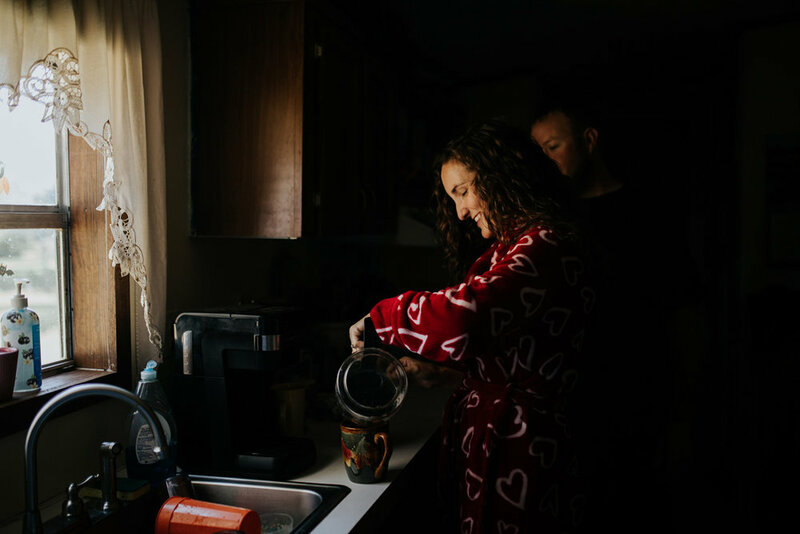 I photographed Troy and Chelsea on a lazy Sunday morning while making coffee and cuddling. I can’t even describe how much I adore them. The love they have for each other oozes out of their photos. This was my first in home intimate couples session and I'm so in love with these. I truly cant wait to do more! Just two lovers in their sweatpants and robes all tangled up in each other; It was literally the best.